Don’t Forget your Pet! 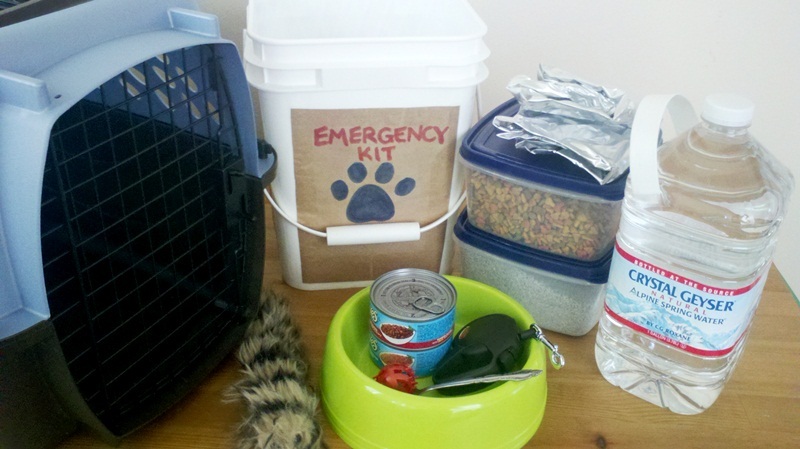 Keep your pet(s) safe during emergencies by including them in your Family Emergency Plan. Download your copy of Plan to Be Ready! Note: Preparing farm animals for disasters requires more planning than does preparing household pets. The American Veterinary Medical Foundation’s “Saving the Whole Family” provides basic information to get you started on planning for farm animals and all pets. 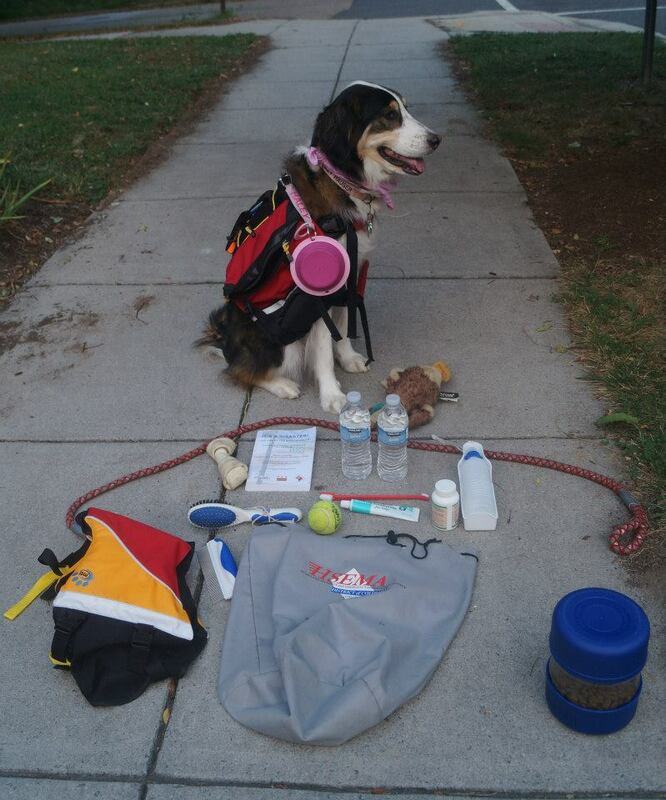 Veterinarian Contact Information, Medical Records, and an emergency supply of any Medications your pet may need. Call to confirm emergency shelter arrangements for you and your pet(s). Bring pets into the house so you won’t have to search for them if you have to evacuate in a hurry. Make sure all pets have identification. Determine in advance which rooms offer safe havens. These rooms should be clear of hazards such as glass windows and flying debris. Choose easy to clean areas such as utility rooms and bathrooms as safe zones. In the event of flooding, go to the highest location in your home, or a room that has access to counters or high shelves where your pets can take shelter. DO NOT LEAVE PETS BEHIND. They may become trapped or escape and be exposed to life-threatening hazards. It is possible that shelters will not accept pets because of health and safety regulations, so make sure you determine where you will bring your pets ahead of time. 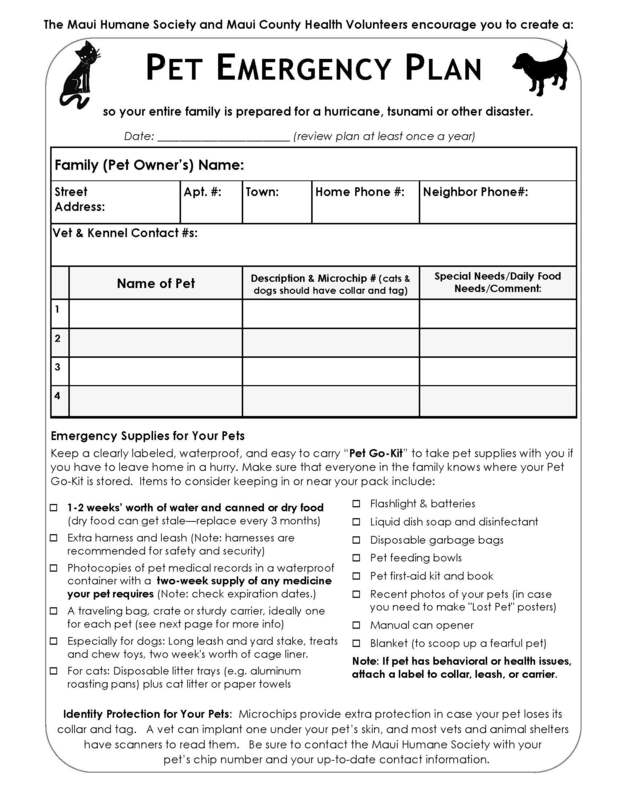 If possible, identify places outside the disaster area where you might be able to stay with your pet (or where your pet could be cared for while you are in a shelter).